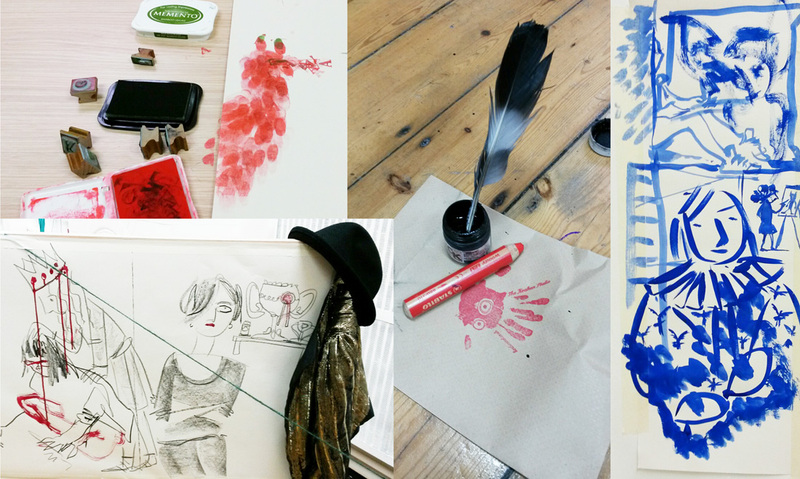 I’ve been a fan of Viviane Schwarz’s wonderfully inventive and interactive books for a long time, so when I spotted that she was offering a one-day workshop looking at illustration from a theatrical perspective, I thought it was too good to miss. 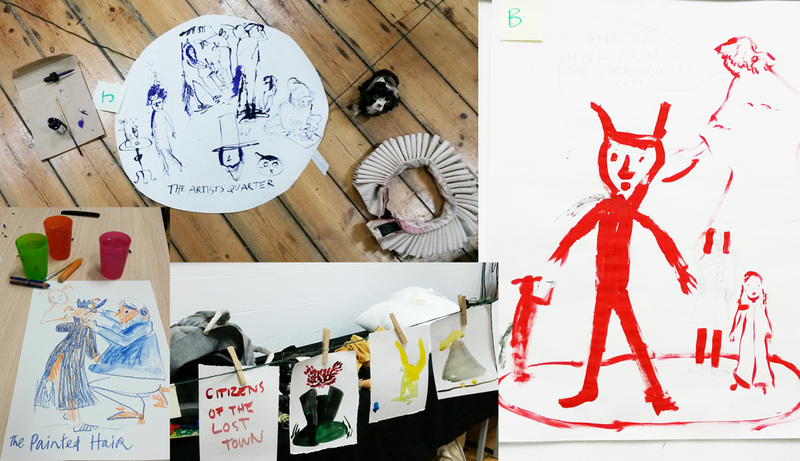 Art Kraken is a creative studio run by Viv together with Ellan Parry and Sarah Grange, both of whom have theatre backgrounds – all of which added up to a very inspiring, playful and invigorating day. I won’t go into too much detail about what we did – but it was a huge amount of fun, involved experimentation AND costume changes, and I really recommend booking on the next one if you get a chance. This entry was posted in General news, Illustration on November 29, 2015 by Jane Porter.